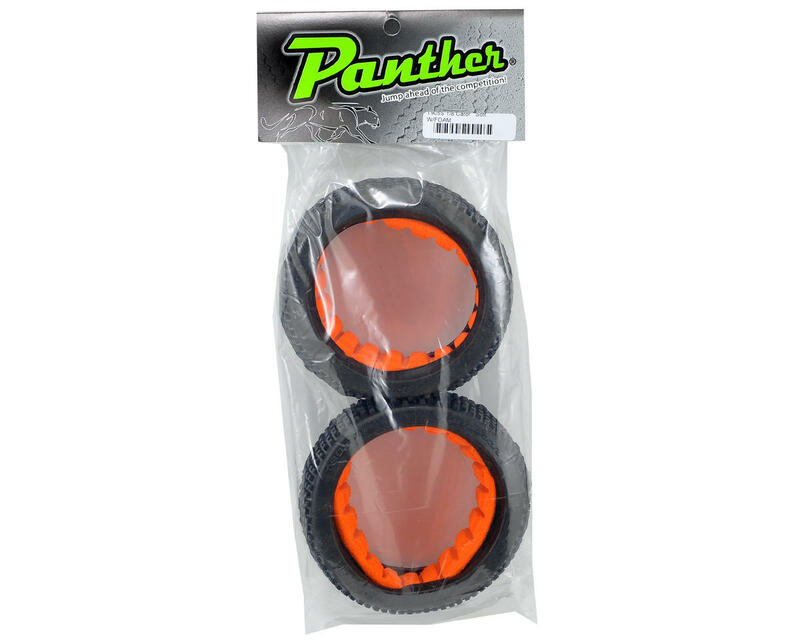 This is a set of two Panther Gator 1/8 Buggy Tires. These tires fit on any standard 1/8th scale buggy rims. 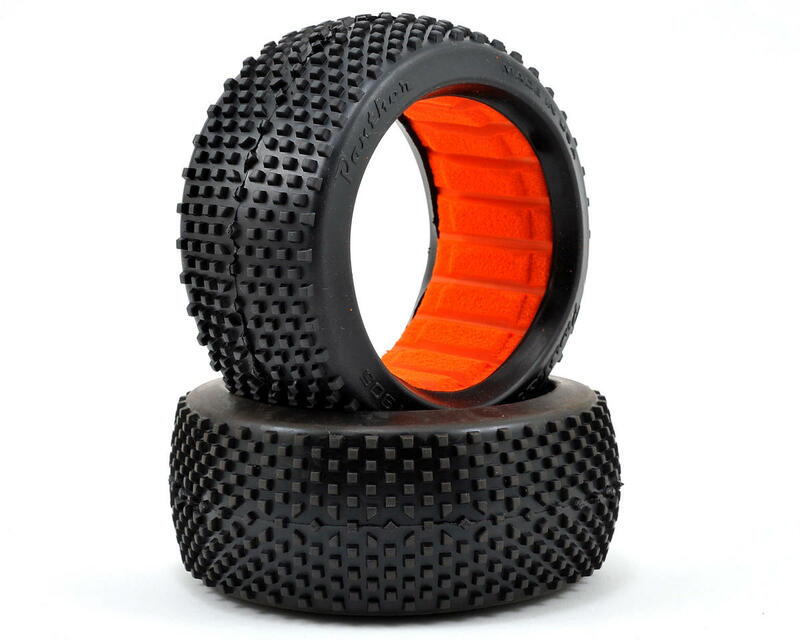 The Gator tread is designed to work well for most track conditions, but less hard packed tracks with a little loam or moisture. This is an excellent, all round tire! The drier the track, the harder the compound of tire you should use (ie: soft when moist, med-soft when dry).